October and November are glorious months to visit Buenos Aires. By the end of October the city's incredible jacaranda trees are in full purple bloom, and temperatures are perfect for strolling. Our guides in Buenos Aires are busy this month with new bookings as travellers seek the city's warm temperatures, and the even warmer welcome of the Porteños. Are you one of the lucky ones planning a trip to this legendary South American city? If so, you'll want to read these tips from our guide Elisabet, who joins us today to recommend five special places to visit in her hometown. This is the most colourful neighbourhood in Buenos Aires, and a wonderful place to take photos. It used to be the first harbour of the city and many Italian immigrants lived here. Colourful houses will accompany you while you walk along this beautiful street. You can also find street artists who offer their paintings as well as tango dancers and singers. It's very nearby La Bombonera football stadium - go take a look if you're a fan of the game! Not so far from the city you can find a place where the tradition of our gauchos is still alive. You can re-live part of this history by visiting San Antonio de Areco where you will find silversmiths in old- fashioned stores and the antiquarians that contribute to creating an atmosphere typical to that of the old days of the gaucho. After visiting this town you can go to an Estancia and enjoy our typical and delicious food: empanadas and asado, our excellent beef cooked in an Argentine barbecue. You can ride horses and spend a nice day in the Argentinian countryside. Originally, the Recoletos monks built a convent with a garden and a church. When the Order was disbanded in 1822, the garden of the convent was converted into the first public cemetery in Buenos Aires. It is considered the third most important in the world. It is like an open air museum. You will enjoy sculptures made by Italian, French and German artists. The cemetery contains many marble mausoleums, decorated with statues, in a wide variety of architectural styles. You can find many important personalities at rest here, such as Eva Perón. This is our typical beverage. We drink it all day long and it is a social custom. It is made of yerba mate that are the leaves of a special tree that only grows in the north of Argentina and the south of Brazil and Uruguay. The taste is like a strong green tea and we drink it in a gourd with a metal straw where we pour warm water. It is a unique experience that you will not be able to try in the same way anywhere else. Thank you Elisabet! 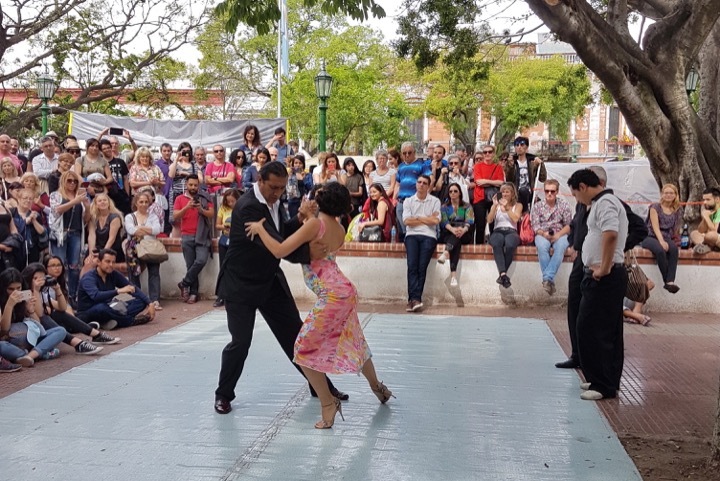 Any travelers headed to Buenos Aires soon should consider getting in touch with Elisabet for more ideas on how to spend your time in this vibrant South American city.